As members of the luxury industry, we have all experienced the feeling of unease and uncertainties that have been permeating international markets over the past years. 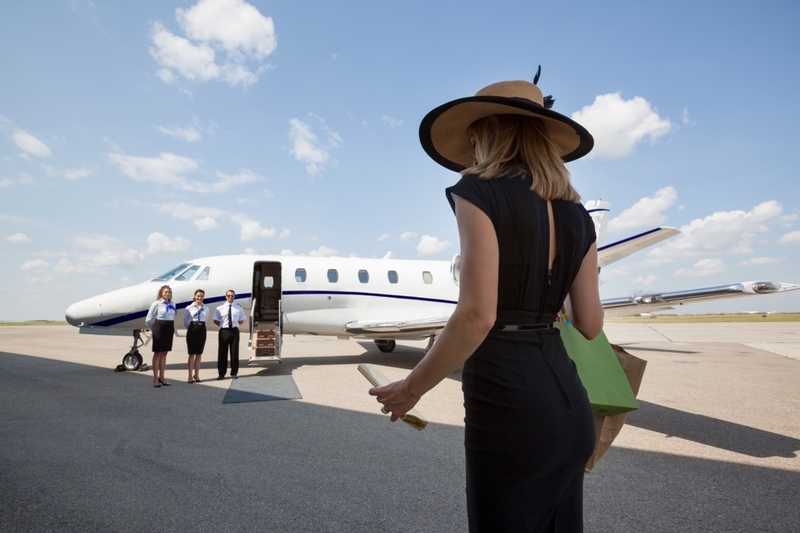 Nevertheless, from the perspective of DeluxePad, the bespoke digital media which exclusively addresses owners and passengers of private aircraft worldwide, there is a reassuring observation when dealing with the wealthy individuals of this world: The regularity and the increase of wealthy consumers’ travelling overseas on private aircraft. Having launched operations in early 2014, DeluxePad is the new kid on the block and this explains why our observations of UHNWIs behaviours may differ from those of established and well known surveyors of the market, as we bring new insights to bare. Contrary to most, our analysis is conducted in order to fine tune our own services and to clarify the needs and wants of our end-user UHNW’s. The information we collect comes from trustworthy sources: The nine important jet operators we supply, their pilots and crews as well as private aircraft owners and passengers themselves. Travel and luxury shopping often go hand in hand for ultra-wealthy populations and this is even more evident during Q4. This is a period when business related travel increases as organizations and individuals do their utmost to “make their numbers” and close deals before the bell tolls at midnight on December. It is also a time when leisure motivated flying picks up, either towards warmer climes or linked to end-of-year events and activities such as wnter sports. One common denominator in both instances: Travel is an opportunity for big-ticket shopping. We observe that nearly 42% of private jet flights during Q4 are projected to be for business, while 38 % are an even mix of personal and business flying. Less than 20% of flights were categorized as mostly or almost always personal. Compared to 2015, nearly 52% of current private jet users plan to fly the same amount or more over the next 3 months, according to a survey conducted by AP Strategic with DeluxePad’s 9 private aviation partners. Our estimations for Q4 follow those of other market analysts in that this year’s Q4 will continue to attract big-ticket spending by the own ultra-wealthy on the move. Our partners project stability and increases of movements from certain city pairs, indicating more traffic emanating from SE Asia, the Golf, the US and intra-Europe. Operators also note increases of movements with passengers from the African continent. On the other hand, flights from Russia and Turkey seem soft and of lesser importance compared to previous years. In addition to well healed established high-net worths, this year will show higher numbers of newly wealthy consumers who will be travelling overseas by private jet more regularly and more widely, where they are exposed to global luxury styles and tastes. Also, with the holiday shopping season stretching ever earlier in many major cities, a growing number of wealthy consumers are reported to have already begun their shopping in September and October and are sure to continue as the year nears its end. but also because it sends a message for the year to come. to communicate in a one-to-one interactive manner with the world’s wealthiest.